Return to the preludes of the '' Starckien'' design when the designer drew lengthened and round lines. 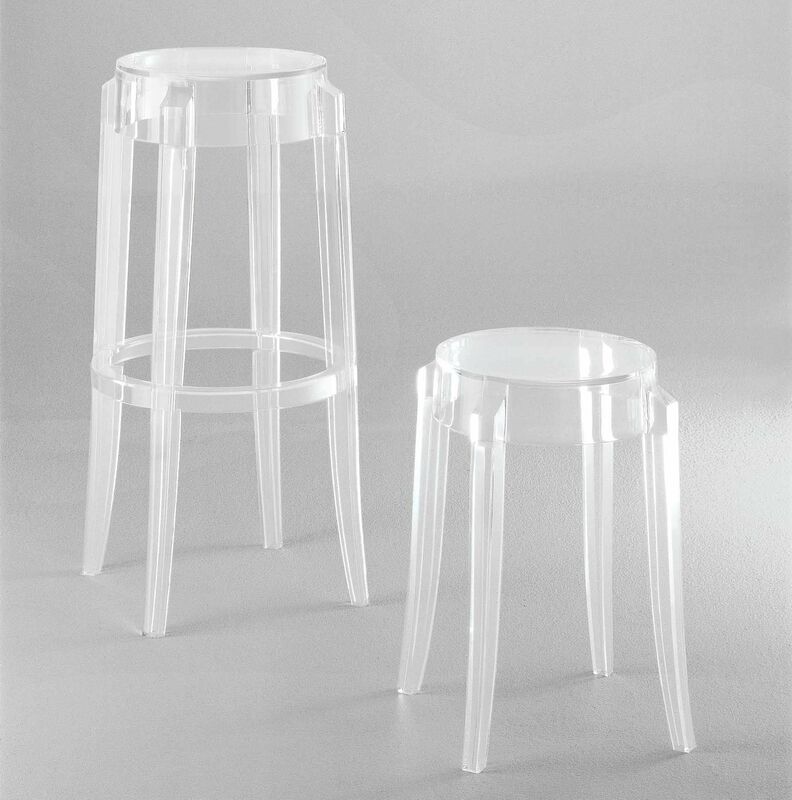 Charles Ghost is an icon of the classical stool, it recalls the form of the seats of the XIXeme century: the line of the feet is round and lightly huddled. 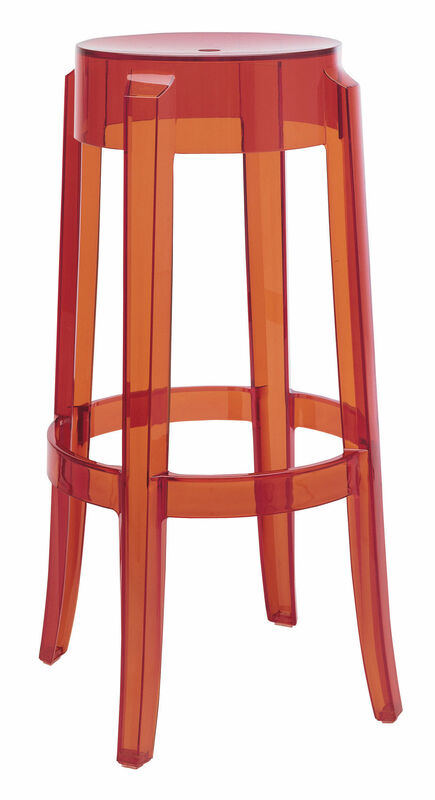 This stool completely transparent and colored has a strong aesthetic impact. 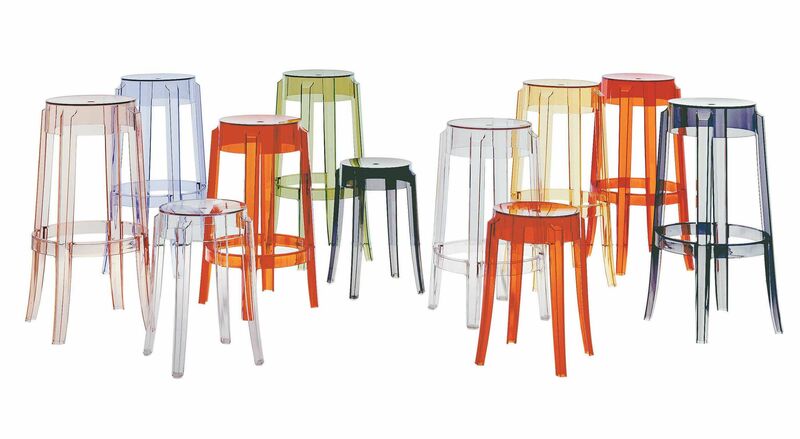 It is constituted of a transparent monobloc in polycarbonate. It adapts himself to all the environments: prived or collective. It marries himself with all furniture type. It exists in 3 different heights (46 cm, 65 cm, 75 cm) and is declined in several coloris: transparent, black smoked, green, yellow, orange, pink and blue sky.